Home › Fitness › How can breathing help me lose weight? How can breathing help me lose weight? In terms of fat storage mechanism, your cells always have two choices – they either release energy or they form fat. By forming fat, cells can process food with less oxygen. It’s oxygen that provides the fuel to produce the energy. Unfortunately, if you’re not breathing properly, you’re not delivering enough oxygen to your cells and they’re forced (practically at gunpoint) to use the “low oxygen” or fat storing processing route. That’s why overweight people often feel tired. Their cells aren’t releasing enough energy. 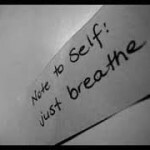 If you notice when you get stressed, you go to shallow breathing, again not getting enough oxygen. Stress causes all sorts of problems in the body and mind, which are connected at all times. Seriously, 99% of people don’t even know they are shallow breathers when they are stressed. Relax, and open up your breathing. 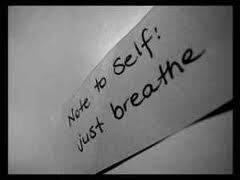 Breath deep and slow and you’ll LITERALLY STOP, the bad effects of oxygen deprivation in the body. A study by a famous weight-loss facility shows that 73 percent of all people who need to lose weight have faulty metabolisms. Why? Quite simply, they don’t get enough oxygen. How could you possibly burn fat and other nutrients if you don’t have enough fuel? As you learn to breathe properly, you begin to deliver the oxygen your cells need to process food. You stimulate the enzymes that burn fat, which naturally increases your metabolic rate and help the body recover. Recovery in the NOW, helps you burn fat and keeps you strong and healthy. Proper breathing changes your body’s chemistry. Activities that trigger the best breathing patterns are Yoga, Meditation, Reiki, Resistance training, Qi Gong, Deep Sleep. A true athlete trains his breathing along with his/her motion execution. When you sleep, you breaths get deeper and slower, this is when the body recovers very well.